To understand the structure of your past. Devoid of life and luscious chloroplast. We understand how life might look on cosmic seas. 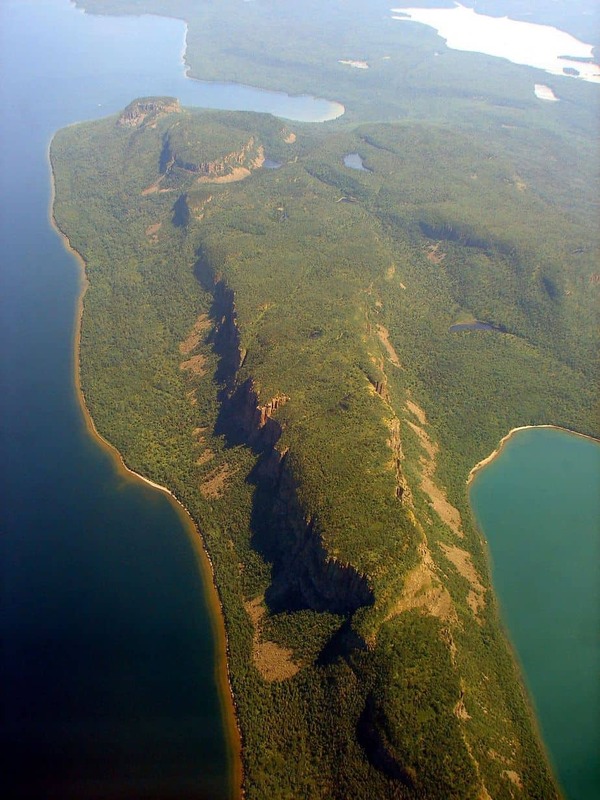 The Sibley Peninsula in Ontario, Canada where the sample was retrieved from (Photo Credit: P199, via Wikimedia Commons). This is a Spenserian stanza, inspired by recent research which has used samples from a 1.4-billion-year-old lake deposit to provide evidence of what the Earth’s atmosphere and biosphere were like in the ancient past. It has been suggested that the atmosphere of our ancient Earth was vastly different to what it looks like today, with oxygen levels in the air a tiny fraction of what they are today because of a less active biosphere and therefore lower primary production (the rate at which plants can convert light or chemical energy into organic matter, a side-product of which is oxygen). However, until now direct evidence for this has been missing. Researchers in this study were able to successfully analyse oxygen samples that had been trapped in a 1.4 billion-year-old evaporative lake deposit from Ontario, and in doing so they were able to prove that oxygen concentrations during this time period were indeed only a fraction of what they are today. As well as confirming that primary production 1.4 billion years ago was much less than it is today, this research also provides clues as to what we might find on exoplanets that are at earlier stages in their development than our current Earth system.